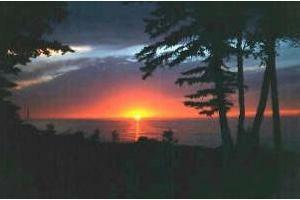 Directly on Lake Superior on the Keweenaw Peninsula's north shore. 4 miles south of Eagle River off 7 Mile Point Road. 30 campsites, most have water and electric except tent site water only. Camping in a scenic, historic area and also having a great time with the family! You'll never be bored when you're staying with Tiki R.V. Park!